He mounted his assault rifle to his shoulder and fired a three-shot burst into the thorn bush. The man who had been lying behind it leaped to his feet. He was turbaned and cloaked with his AK-47 slung over his shoulder and a small black box in his hand, from which dangled the thin red insulated cable. Some debts can only be paid in blood . . . When Hazel Bannock, billionaire oil tycoon, discovers her daughter has been kidnapped by Al Qaeda pirates just off the coast of Somalia, she uses all the power at her disposal to rescue her daughter - but politics and diplomacy fail her at every turn. Her only hope is her ex-military head of security, Hector Cross, an expert in surveillance, infiltration and combat. For all Hazel's connections and wealth, Cross is the one man who is offering to find her daughter. Hazel and Cross must work together to bring Cayla home, but neither of them realise that the kidnappers are not merely interested in ransom - what they have planned is far, far worse . . .
Too much detail and pages that, for me, needlessly rambled on about nothing. 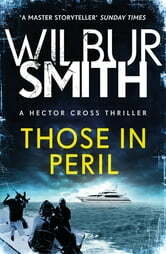 I really get the sense Mr Smith did not write the entire book, as a fan, it did not scream Wilbur Smith at his best. I did not and could not finish the book. 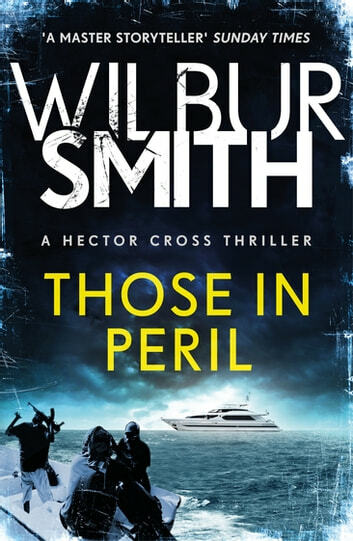 This is vintage Wilbur Smith with giant plots worked around extravagant backgrounds. I can't wait to start the next of the Hector Cross series. Another fast paced book wih not a minut to breath before the book moves forwards. Enjoyed the read. This writer has absolutely no empathy for women. A horrible sexual abuse scene is romanticised and the impact for victim and family downplayed to a single tear. This is a terrifying male view on sexual assault. Like it is a slap in the face, that means nothing. I am truelly shocked by the way sexual assualt has been used by this writer. Not by the fact that it is. But the way it is described and followed up on. Only a very insensitive man can write something like this. Unbelievable!